A place for discussing 2-Rail, O Scale railroading and following the construction of my layout. 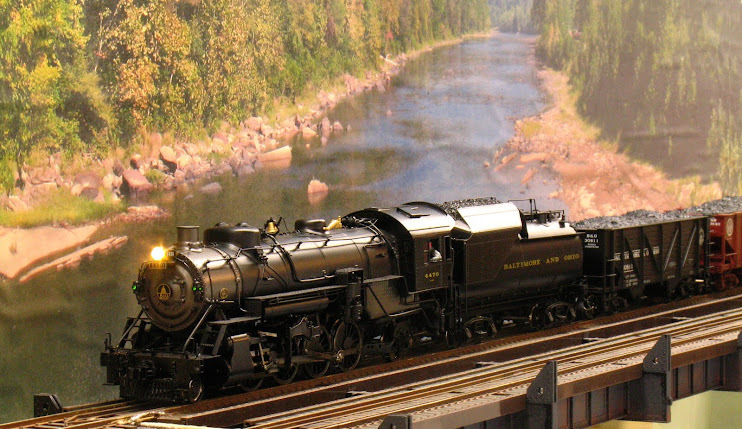 All model railroaders are welcome. All contents (c) 2007-2015 T. Terrance. 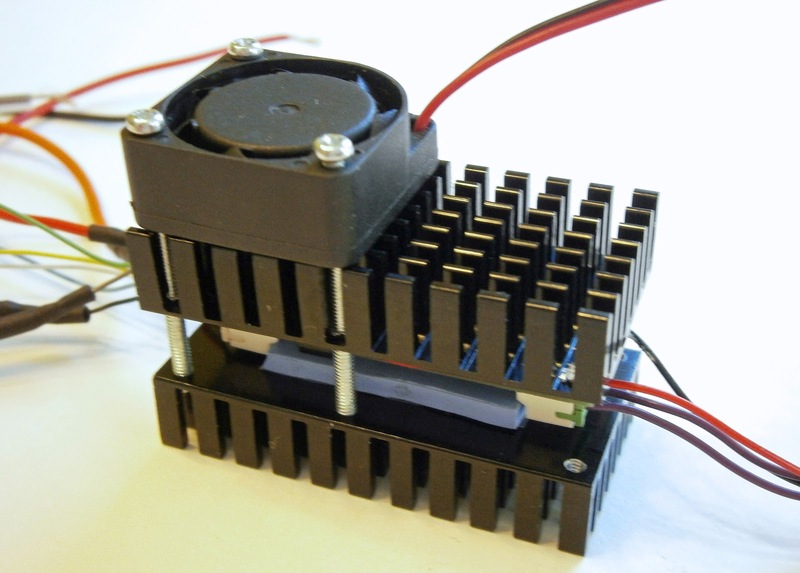 I have been developing a number of new products and here is the latest. 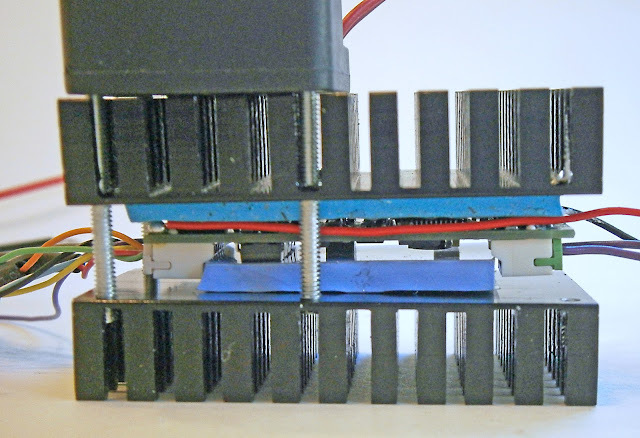 It is a heat sink kit that fits SoundTraxx Tsunami's TSU-1000 (the universal fit decoder) and allows the decoder to output significantly more current, my testing indicates that 3 amps is not a problem. For O and larger sales. 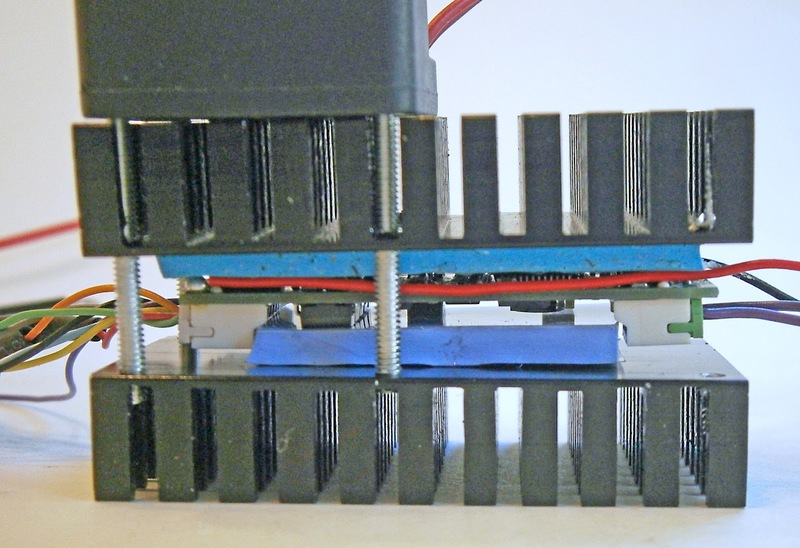 The Tsunami is sandwiched between thermal pads and heat sinks and a fan rides atop the part of the Tsunami the produces the most heat. 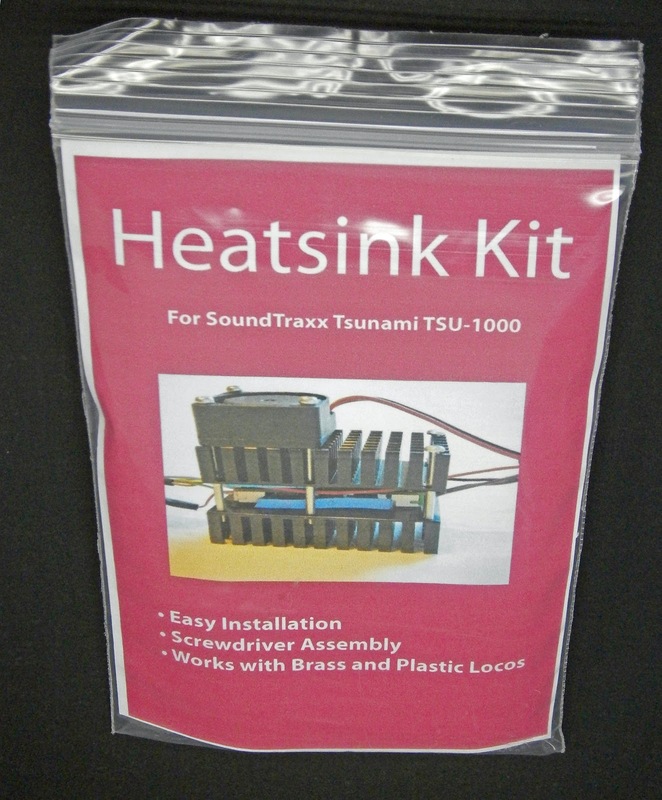 All parts are included in the kit, except the Tsunami, of course. 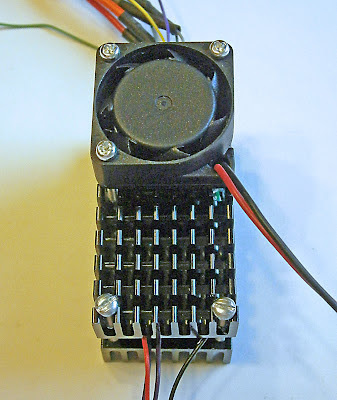 Here are some larger photos of the kit assembled to a Tsunami. In this last photo you can see the Tsunami in the center of the sandwich. Step-by-step photo illustrated instructions for assembling the kit are included on a CD. This kit will not fit the Tsunami plug-and-play decoders (BW1000, KT1000, GN1000, AT1000). 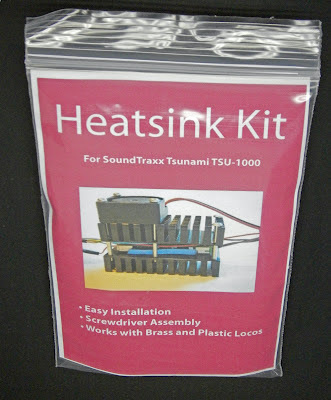 This kit has been thoroughly tested but it has not been approved by SoundTraxx and use of this kit may void your SoundTraxx warranty. The first run of kits has been sold out. The second run of kits should be ready by Thanksgiving. Contact me if you are interested.